Overview of the Nest Experience. Visions is a kinect body scanner that helps to explain the impact of certain foods on the human body. Zeitgeist is devoted to 150 years of history and links products, images and stories to iconic moments in world history. Foundations brings visitors back to when the company was established in the 19th century in an authentic, timed attraction. 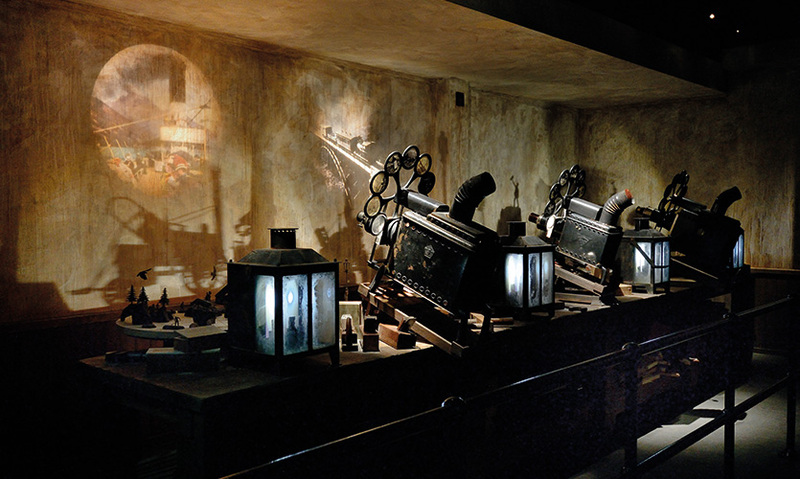 Foundations in the first factory is an immersive timed experience based on 19th century film techniques. Visitors experience the passion of scientists and their innovations through games and virtual reality. The present day forum uses interactive ways to make visitors conscious of the social challenges in nutrition and health and appeals to collective responsibility. The Nest Experience Piazza is available for nighttime events. 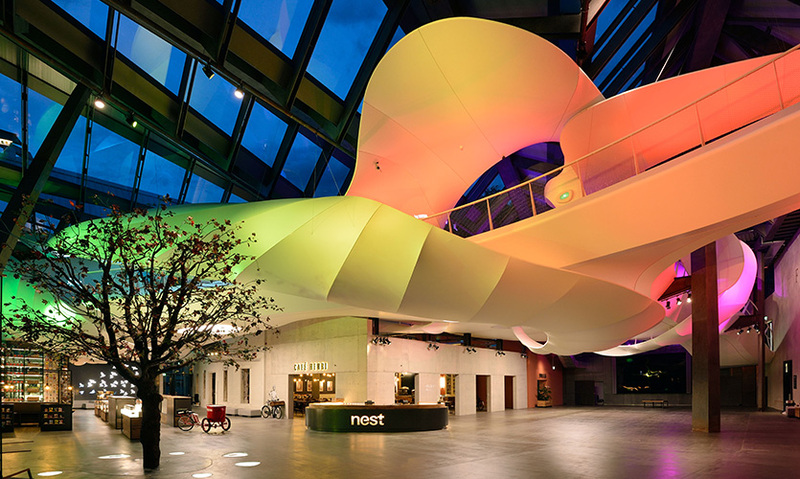 “Nest” is a return home to the first Nestlé factory. 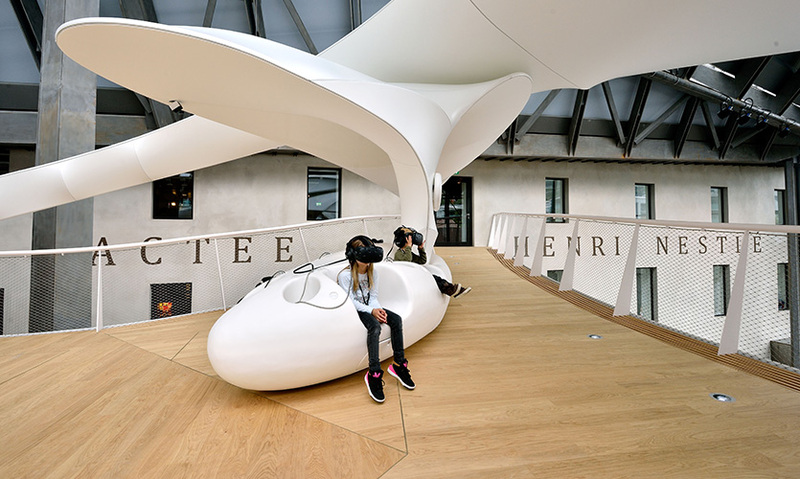 On the occasion of its 150th anniversary, Nestlé held a special open house in Vevey, Switzerland complete with “Nest’,” a family experience and exhibition. The site is where Henri Nestlé established his first factory in 1866 near Lake Geneva. The old bakery, the historic villa and the first factory have been restored; the historic site has been covered with a magnificent glass roof creating a new public space. 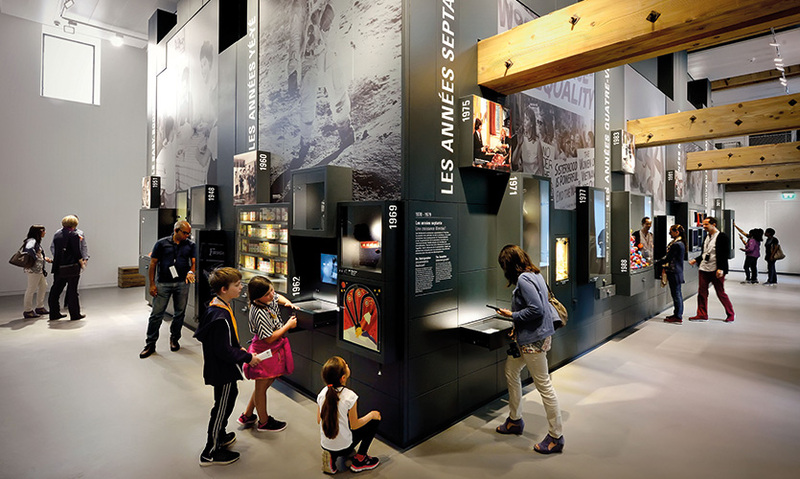 Museums or experiences related to brands are often a one-way communication about the company’s past and values, which sometimes fail to add real interest for visitors. Tinker Imagineers created the scenography to describe “Nest” as an open house. As the world’s largest food company, Nestlé has a huge impact on our global society. Transparency was essential to the project because the big idea behind “Nest”—a new one for Nestlé—was simply to open up and engage the public in an involved, honest dialogue in response to the visitor’s interest to understand the world around them. The “Nest” experience also perpetuates the spirit of Nestlé’s founder, paying homage to the company’s rich history. 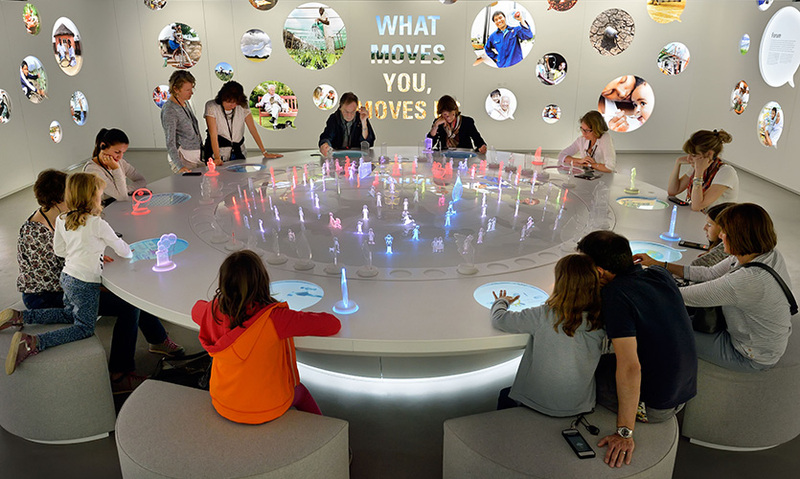 What “Nest” offers to the public is a special way to revisit Nestlé’s history, to address the challenges surrounding food production in the world today and to explore a passionate vision of nutrition in an engaging and interactive manner. Little was known to the public about the fascinating story of this global multinational, which is a mix of tradition and innovation. “Nest” arouses curiosity, whilst explaining and illustrating Nestlé’s major impact in the region. The transparency of the museum building from outside (glass façade) reflects the transparency of the company. 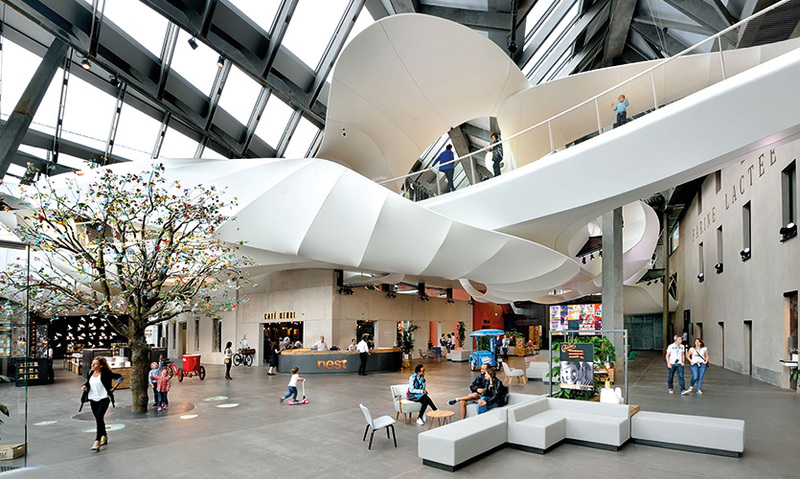 Visitors are welcome inside and enjoy themselves at the Piazza—a magnificent space under a generous modern fan-shaped glass roof with lounge corners—for free. In the experience, visitors receive a personal look behind the scenes and are challenged to truly interact as they embark on an entrepreneurial journey through the past, present and future across five different zones. Storytelling was the key for the Tinker Imagineers design team, not the collection or the space. The atmosphere, choice of communication transfer and use of AV-techniques was determined by the time period each zone/exhibit represents. From the beginning the request from the client was to make it great, durable and easy to operate within a two-year timeframe. The project included the scenography (concept and design) of the experience, multimedia production and AV integration. The Tinker Imagineers role extended to bringing together a team of more than ten companies, comprising more than 100 developers, engineers and builders together to realize the scenography with a budget of 10 million Euros of the total investment of 45 million Euros. The “Nest” experience is strongly supported by the use of audiovisual solutions, which is not immediately visible for the visitor, but plays a vital role in the overall experience. Visitors are guided through the zones of the experience with an audio guide. Apart from some ambient noise speakers, the SupraGuide Touch is the sole method for audio delivery. All audio content comes from the audio device and is synchronized with the exhibits by RF/IR and perfectly lip-synced using timecode. The system runs on a completely separate network and crosses over to the media playout network. 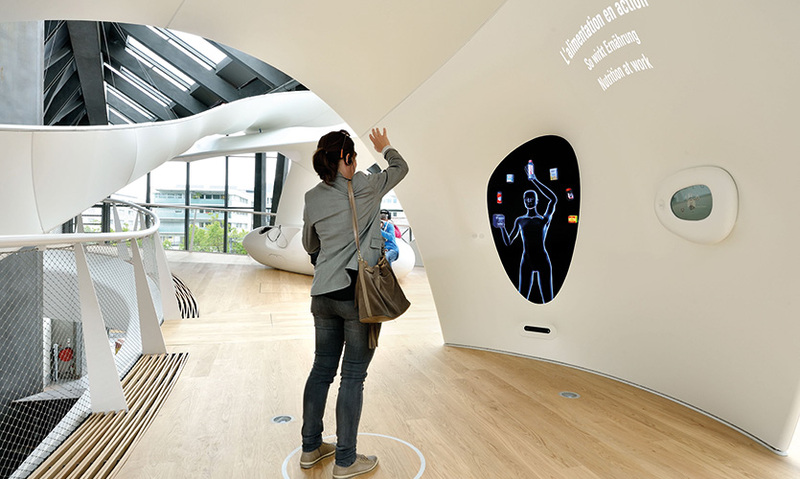 Through this crossover, visitors activate media and listen in their own language. 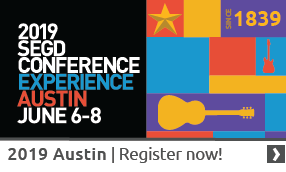 "This spirited brand experience is a balanced mix of spaces and touchpoints. The dense amount of content is displayed in an evocative way through the combined used of digital and static applications. The airy contrast to the deeper toned areas creates a true sense of place." "This exhibition on the occasion of Nestlé’s 150th anniversary is set in an abstract nest architecture reminiscent of the company’s logo. 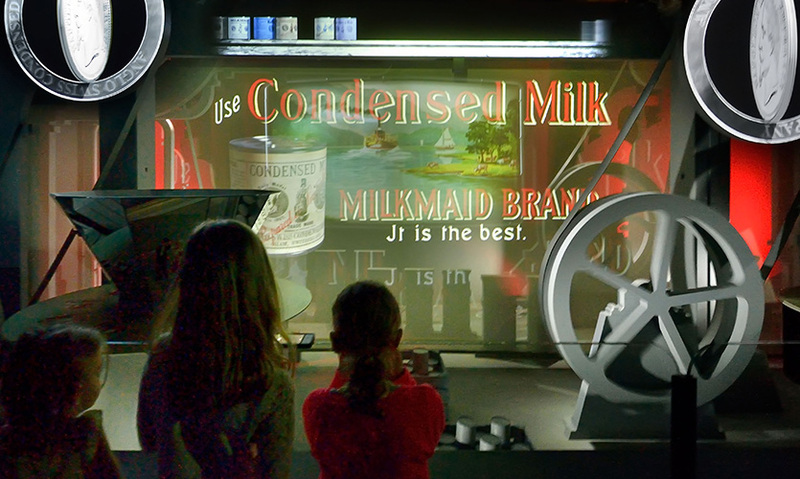 Inside various themes of Nestlé’s history, nutrition and future outlook are told in a didactic and interactive way. The architectural elegance of the ‘nest’ is inspiring and inviting to explore the space."